Whether your goals include increased strength and endurance, improved body composition, fat loss, increased muscle mass, less dependency on medication – all of our members are dedicated LIFTERs (committed to Learn, work with Intensity, Focus on our Training, and Encourage and Respect one another). We believe in the importance of mindfulness – learning about your body and the amazing gift that it is! Making it stronger, inside and out, every day. There is no better time than now – come join our community today! Contact us to get started on your fitness journey today! In 2011, Daniel Esbenshade began training individuals and small groups through Complete Body and Mind. After spending a few years training in that capacity, he opened Temple Fitness with his wife Brynn in 2014. Temple Fitness began with mostly circuit training for large groups and has developed into a gym for lifters. For people to come train for many different reasons – we have those just looking to move better and we have competitive athletes. In our time serving members of Federal Way and the surrounding communities we have reached hundreds of people on the road to better health and fitness. Each day working to become stronger! In 2011, Dan started training groups and individuals for athletic training, fat loss and general fitness. 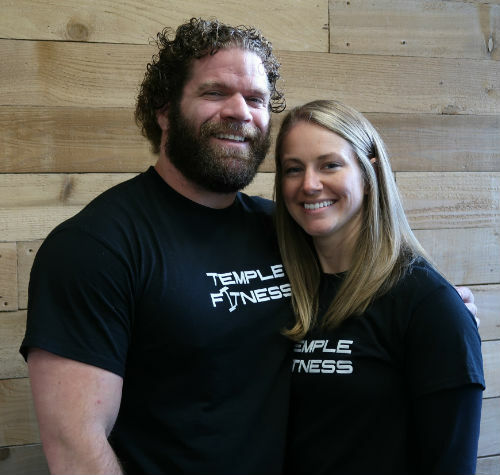 Both Dan and Brynn have their own journey in health and fitness but have been building a community of health and fitness together ever since the start of their training and the opening of Temple Fitness in 2014. With Dan as Lead Trainer and Programmer and Brynn as Manager and Coach, they have continued to build enthusiasm for health, fitness and lifting! From Dan & Brynn – Our heart is to teach the community about exercise. We love the gym, to be in the gym and to learn more about how the human body moves and functions. We love to lift and to teach others how to lift. Becoming stronger in the gym is about knowing yourself more and being able to push yourself to achieve what you did not think possible. The challenge of fitness is more than the physical goals we set, but also emotional and spiritual. As we continue our study of health and fitness we cannot wait to meet you and help you begin your journey to improved health through exercise and nutrition. 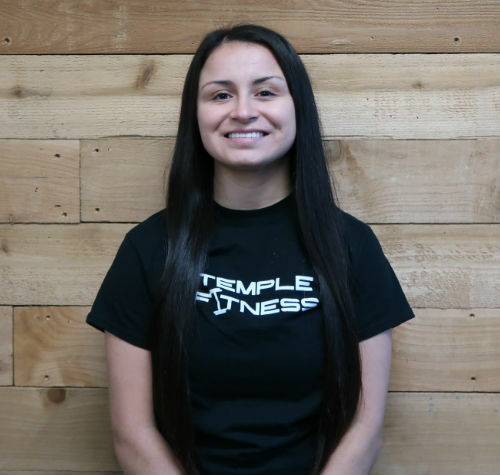 Before joining the staff team, Mari originally began as a member at Temple Fitness. Her goal is to share her love for lifting to empower and strengthen the community. As a competitive powerlifter, she is always thrilled to inspire curiosity, appreciation, and participation in the sport. Jordan is a student at Highline College studying to complete her AAS with emphasis in Exercise Science. After growing up in sports and athletic activities she now trains to compete in powerlifting competitions. Her background has also led her to have a strong desire to learn about exercise and help people love it as much as she does. 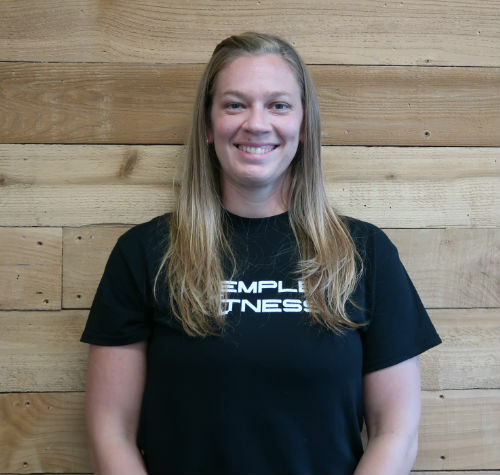 Stephanie has been an Assistant Strength and Group Coach at Temple Fitness since August 2016. Through her background as a collegiate athlete, she enjoys working on her own strength and fitness goals and helping others achieve their own goals in the gym as well! 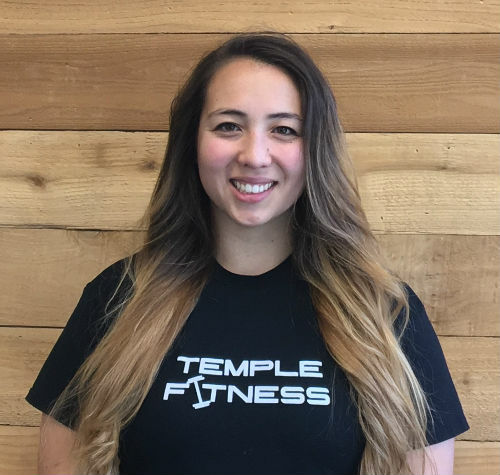 Her training experience began with Temple Fitness as she realized her own passion for lifting and learning. Let us help you get started on your fitness journey today!